Your smartAIS WatchMate XB-8000 or WatchMate Vision transponder is designed for safety and sounds an alarm when there is a risk situation. 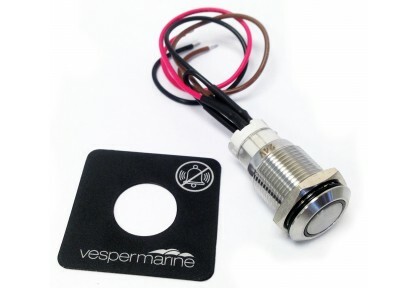 You can choose to silence the alarm by using this Mute Switch, which can be easily mounted anywhere on board. For the WatchMate XB-8000 you also need an external alarm so see our combined alarm and switch kit. Installation details and wiring diagram for External Switch with WatchMate transponders.